I was looking for a cheap router to add better wireless coverage in the living room, as my existing modem/router is on the far side of the house, in one of the bedrooms. 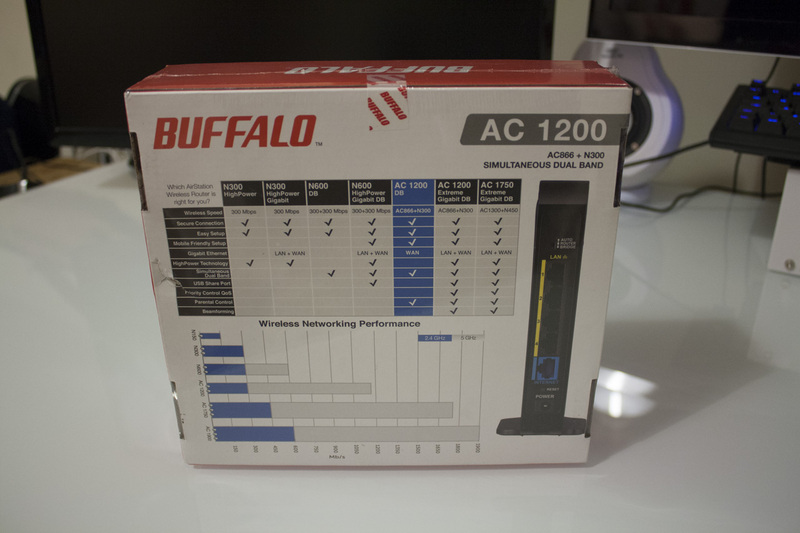 One router I considered was the Buffalo WHR-1166D, which Ebuyer have very graciously sent me to review. 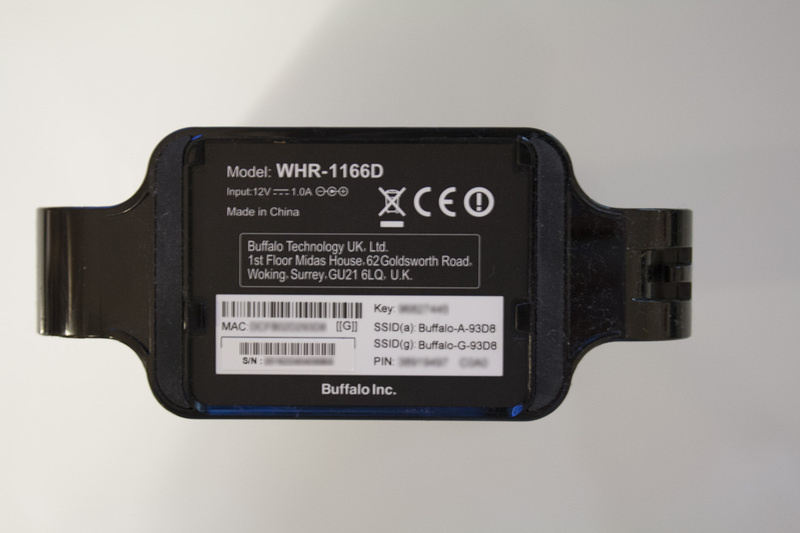 The WHR-1166D is so-named because it promises maximum speeds of 866 Mbps on the 5GHz band, while also transferring up to 300 Mbps on the 2.4GHz band; 1166 Mbps in total. In this review, I’ll be testing that claim with real-world benchmarks. Let’s get started! This is the box you’ll receive. 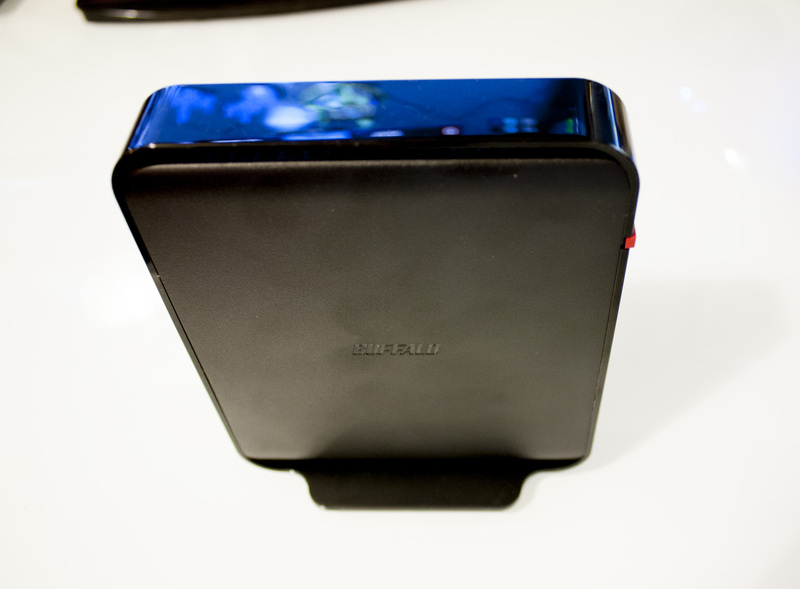 It notes the strong performance with recent smartphones and tablets (which tend to come with WiFi ac at the high end), gigabit WAN (for lucky people with internet connections faster than 100Mbps) and an easy setup procedure. 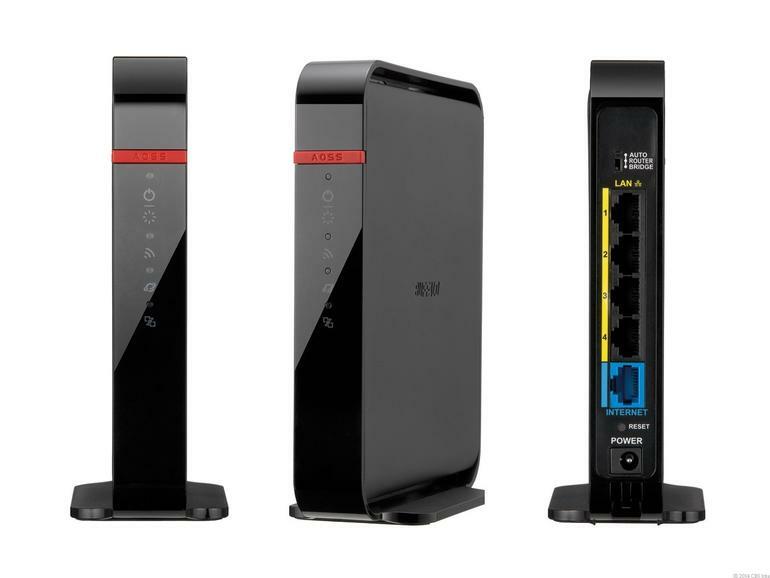 On the back of the box, we have a nice comparison of this particular router compared to other Buffalo options; as you can see we have quite a lot of tick boxes here but not quite as many as more expensive options. Opening the box, we get our first glance at the contents of the box – a nicely bubble-wrapped router, a quick setup guide, and some other things in small cardboard partitions. Besides the exciting literature, the box comes with two things you’ll need to begin – a hilariously short ethernet cable and an AC adapter. 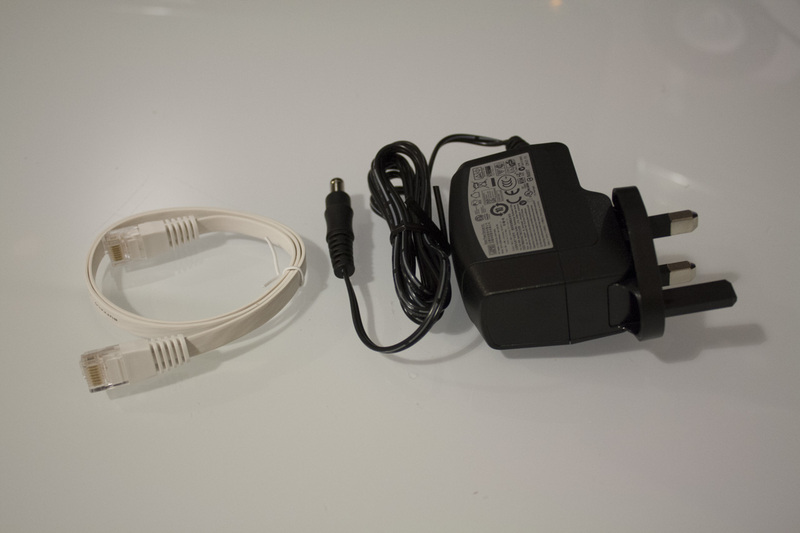 The adapter is nice because it’s a two piece job, with your EU, US or (massive) UK plug sliding into position. The WHR-1166D is a small and tidy router, with a simple rounded box design. The back of the router is more interesting, so let’s look at it first. 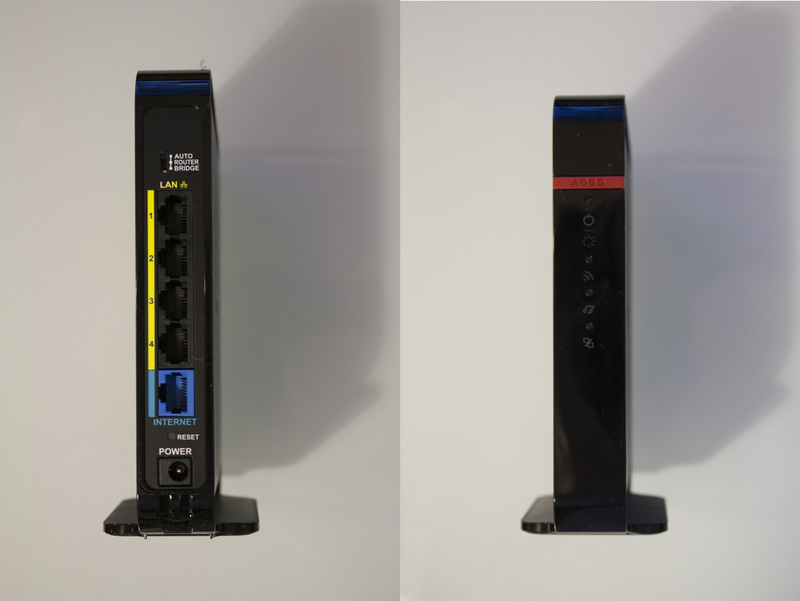 We’ve got a switch at the top that allows you to choose between ‘router’, ‘bridge’ and ‘auto’ modes. Below this we have four RJ-45 ports marked for LAN use, and a single RJ-45 port for your internet connection. A small reset point is below this, and finally we have the power input. The front of the router is quite spartan, and monochrome apart from a single red stripe that serves as the AOSS / WPS button. Below this we have indicators for the router, its internet connection, its LAN connections, etc. From the side, we have a small Buffalo inscription and nothing more. You can see there’s an integrated stand at the base of the unit, which adds some much-needed stability. On the bottom we have some fun information like the MAC address, the default SSIDs, PINs and keys. There’s also a removable setup card, which shows the IP needed for configuration (and the username and password you need to log in). The other side of this card (not pictured) shows the SSIDs, key and security type. Setting up the router was fairly straightforward. I started by changing the switch on the router to bridge mode, as I wanted to merely produce a wireless network instead of functioning as a full router. Then, I plugged an ethernet cable attached to our modem to the WAN port of the router to get it an internet connection. The router defaults to a 192.168.11.1 LAN IP, so I set my computer to a different address on the same subnet (192.168.11.42), then accessed the router’s webpage. From here, it was simple to change the LAN IP address to one that suited my network (e.g. 192.168.0.21) and set the default gateway and DNS server address to my existing router/modem. Both SSIDs were renamed in the wireless settings, their passwords changed and highest speed modes set. From there, all settings were kept at their default values. A more standard default IP (like 192.168.0.something) would have been useful, but overall it was a quick process. The router’s web interface was quite easy to use, with pages loading quickly and all of the various options being fairly self-explanatory. You get one page for simple options, and a link to a more advanced settings area. Help text is also available for each page, explaining the feature and/or the configuration options available. 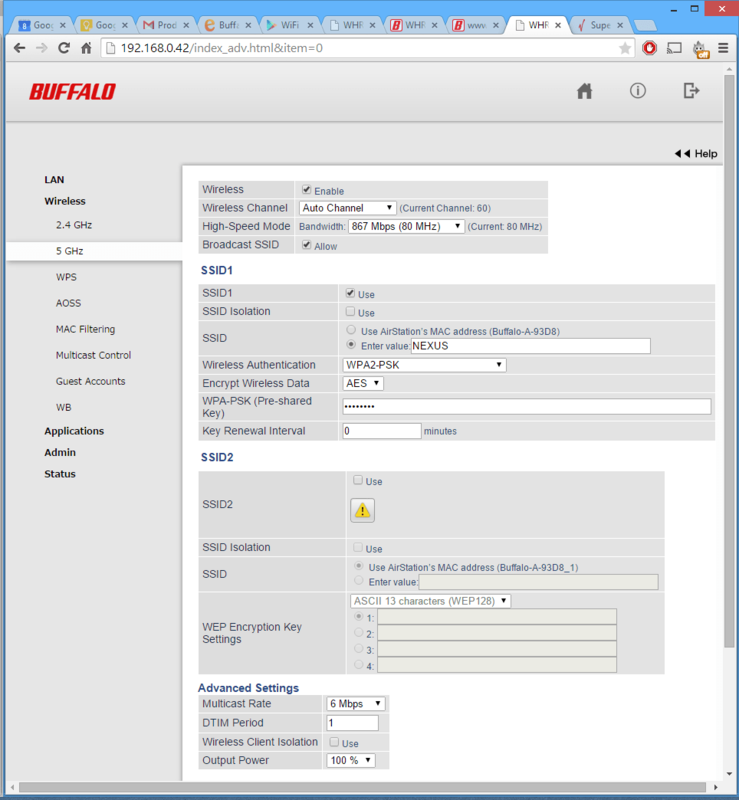 The power saving section of the router settings page, with the help section shown to the right. 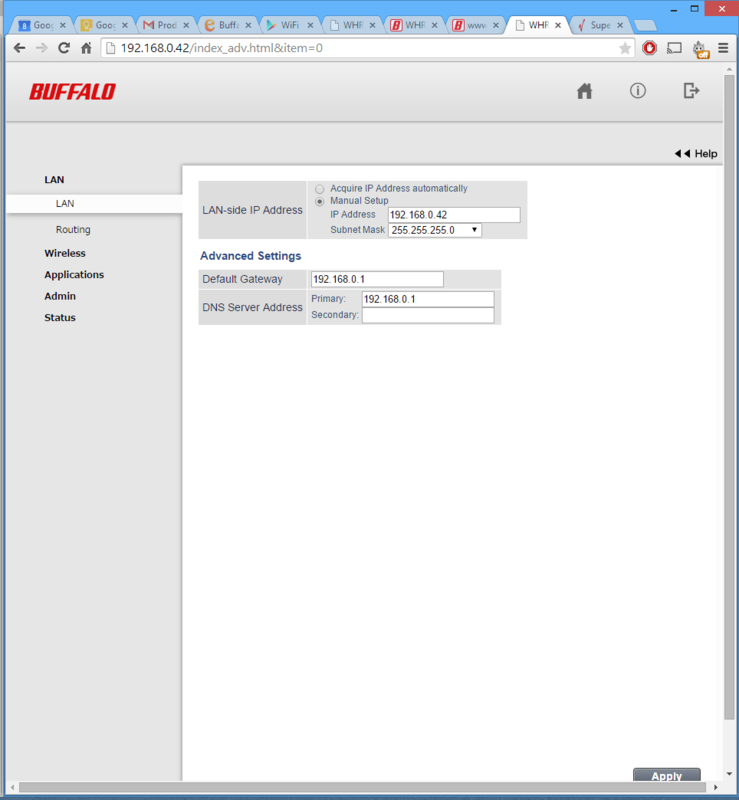 So configuration is quite easy – but how fast is this router? That’s what we’ll be tackling in our next section, as we benchmark the router at a variety of ranges. To measure WiFi performance, I used the WiFi Speed Test app on Android. This app measures the connection speed between an Android device (in this case my best performing Android phone, the OnePlus One) and my computer, attached to the router via gigabit ethernet. The app was set to transfer 100MB, when an average measurement would be taken. Tests were performed in my home office, with distance and walls between the phone and router noted. These results are much lower than the theoretical maximum speeds promised by the very name of the router, but still fast enough to eclipse the speed of my internet connection at most ranges. Walls seemed to reduce the speed of the link considerably, with even a single wall resulting in a 5x reduction in throughput speed. WiFi N was oddly less affected by walls, with the 48~52 Mbps range remaining constant until the far side of my apartment. 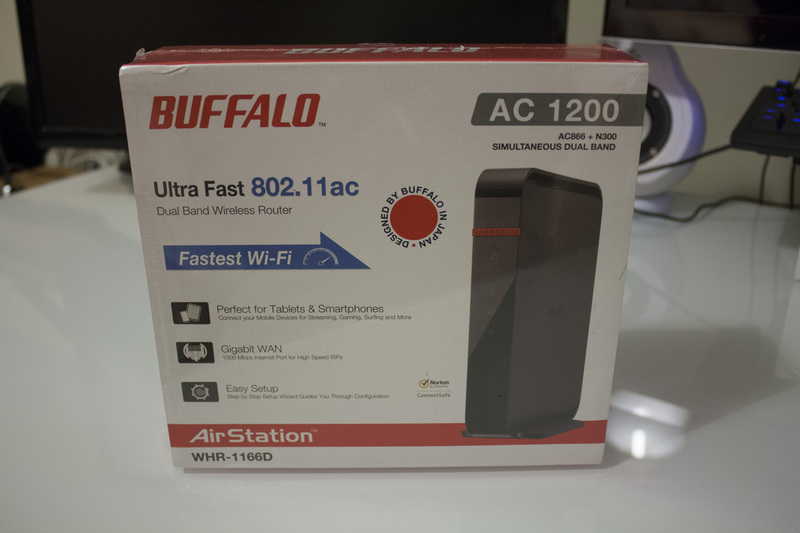 The Buffalo WHR-1166D is a good WiFi ac router for the money with an easy-to-use interface, even though its tested wireless performance was some distance away from its promised throughput speeds.